Sign up for Broadjam today to follow Unicorn 1 Records, and be notified when they upload new stuff or update their news! Gentle music, ocean waves and a softly spoken prayer by Zakhuur. 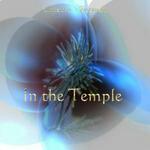 Perfect for meditation, relaxation or as gentle ambiant music. Debut single by Kristen Theroux. "This, my creed, I do promise to live by, and my right I declare to be free!" 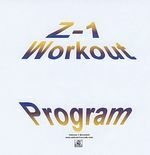 Z-1 Workout Program takes you through a 15-minute low-impact cardio workout. Build your speed and strength.